Summer means enjoying the weather, and for most, with your pet! Remember to keep your pet healthy this summer by keeping them safe in the summer’s high temperatures. Visit the Vet. A visit to the veterinarian for a spring or early summer check-up is a must. Make sure your pet is up-to-date on all necessary vaccinations. Pets should also be given a blood test for heartworm every year in the early spring. The deadly parasite is transmitted through the bite of an infected mosquito, and it is recommended that dogs and cats be on a monthly preventive medication year-round. Keep Cool. Dogs and cats can become dehydrated quickly, so give your pets plenty of water when it is hot outdoors. Also make sure your pet has a shady place to escape the sun, and when the temperature is very high, don't let your dog linger on hot asphalt. Know the Symptoms. 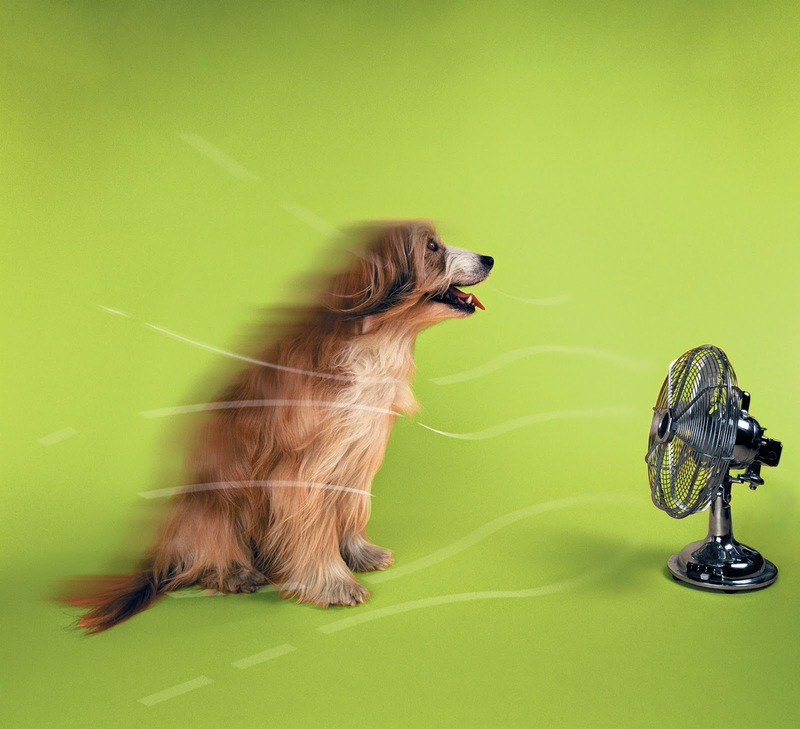 Some symptoms of overheating in pets include excessive panting or difficulty breathing, increased heart and respiratory rate, drooling, mild weakness, seizures, and an elevated body temperature of over 104 degrees. Summertime is the perfect time for a backyard barbeque or party, but remember to keep alcoholic beverages away from pets, as they can cause intoxication, depression, comas, or even death. Similarly, remember that the snacks you serve your friends should not be a treat for your pet; any change of diet, even for one meal, may give your dog or cat severe digestive ailments.” Avoid raisins, grapes, onions, chocolate and products with the sweetener xylitol. Water Safety is Pet-friendly. Do not leave pets unsupervised around a pool, as not all dogs are good swimmers. Introduce your pets to water gradually and make sure pets wear flotation devices while on boats. Rinse your dog off after swimming to remove chlorine or salt from his fur, and try to keep your dog from drinking pool water, which contains chlorine and other chemicals that could cause stomach upset.